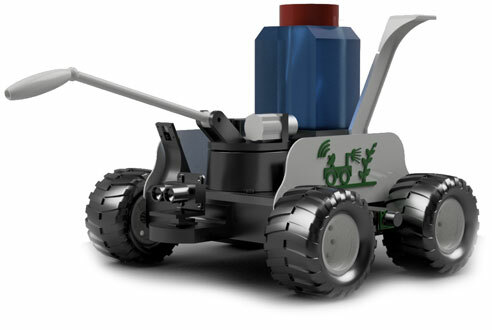 The Sense Rover brings robotic yard control to the home. Don't spend your days in the hot sun keeping your yard beautiful, let the Sense Rover do it for you while you enjoy life. The Sense Rover will take care of treating weeds your desert landscaped yard automatically. Enjoy your yard without having to spend the scorching summer days searching for and spraying your weeds. An automatic weekly schedule lets you configure your the Sense Rover to run when it's convenient for you. The Sense Rover platform is intelligent, containing more processing power onboard than IBM's Deep Blue supercomputer, which was capable of beating the human race's best chess player, Garry Kasparov. All that power lets the Sense Rover do the work for you, just point and click and the rest is taken care of.